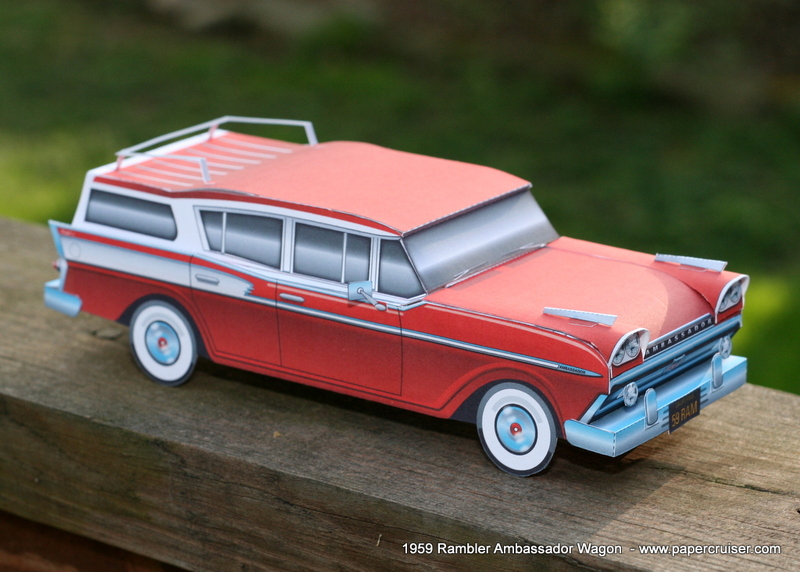 Today I made some 3D Wheels for the Rambler Ambassador station wagon. They can be found on their own sheet on the free paper models page. These will fit on the red or green models, as long as they are printed at the same scale. For example, print at 100% to fit ehr Rambler when it was also printed at 100%. Just create the wheels and then glue them to the inner surface of the wheels on the Rambler wagon model.